Sunrise Holidays is Gujarat's leading Tour Operator and Travel Agency. Based in Jamnagar (Gujarat) we represent over 1,100 travel agents in all major cities throughout the regions of Gujarat and Kutch and all over India. Please Follow My WebsiteManali Hotel Package For Hotels Quiry. 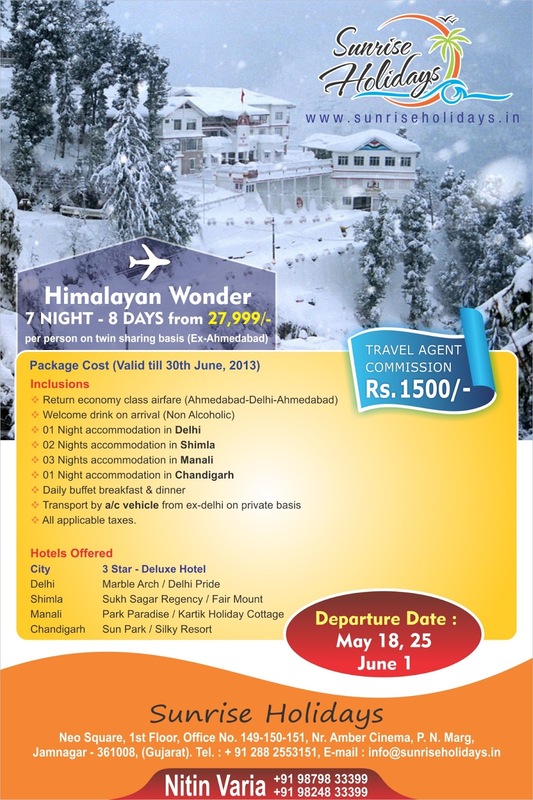 Resort in Bhimtal , Great information thanks to shared with us ! Thanks for sharing brilliant information! I really appreciate with this post, Keep posting such kind of things always. Thanks again. Pet Classifieds. Thanks for giving beautiful information i am was searching this type of blog. Complete travel planning for each day for stay, travel and enjoyment activities at standard facilities. Best time to visit beautiful destinations of himachal and live stress free holidays.